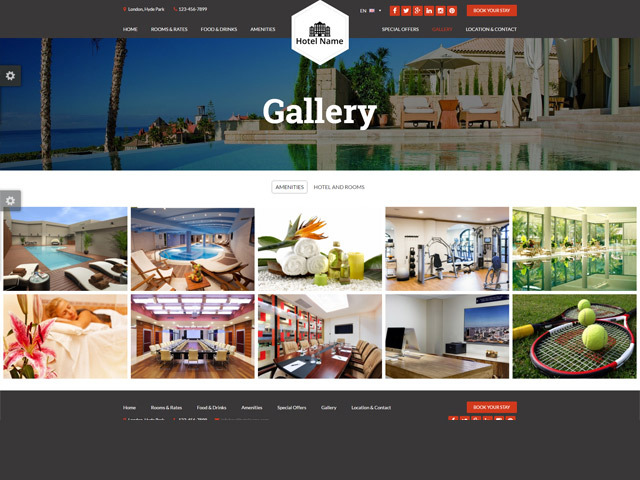 VEVS Hotel Website Builder is a quick and affordable web solution providing hotel owners with all must-have features to streamline their online business: modern website design, intuitive content management system, built-in hotel reservation system, customizations, and ongoing tech support. We will assist you all the way through to your site launch - from the hosting account and domain registration, through the content upload and all additional fine-tunings. 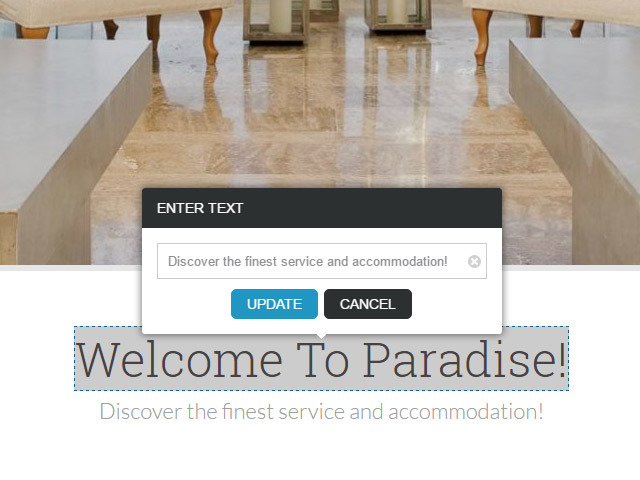 Let's go over the key advantages of our hotel booking websites! VEVS Hotel Websites can be customized as per each client's needs. Just contact our customer support team and give us more details! Add multiple room types, set the standard and seasonal room rates, specify all amenities and services which are included in the price. You can also offer other extra services which clients can request during the booking process. Add beautiful, high-quality pictures of your hotel rooms, as well as a detailed description for each room type. Present all amenities, restaurants, and bars on separate pages, if you wish to add more information for each service or premise. One of the main competitive advantages of VEVS Hotel Websites solution is the integrated hotel booking system which enables clients to make online reservations and payments. Administrators can keep track of the latest bookings and check room availability using the helpful dashboard in the backend system. They can review, edit and add reservations; set custom booking rules and terms; request reports for a particular period; process online and offline payments; generate invoices, etc. 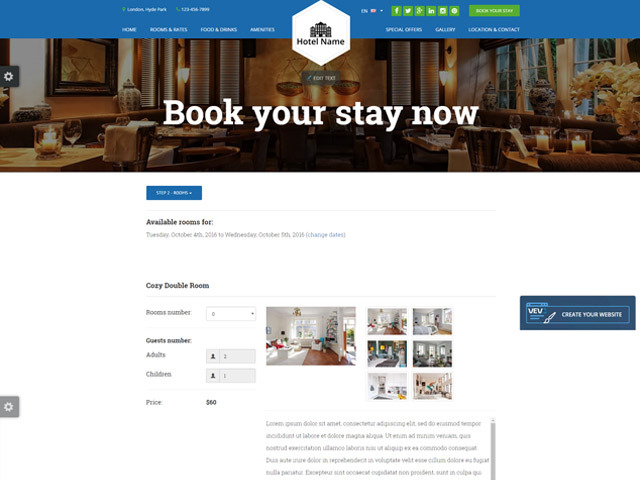 Users can add, edit and replace all texts and images on their hotel booking website both from the admin panel and with the help of the smart on-site editor. VEVS Website Builder allows you to change page templates and color themes with just a few clicks. You are free to add other languages, too.